"The Mighty Warriors Who Became the Seven National Heroes of a Small Town"
In feudal Japan, poor villagers who are under siege by bandits decide to hire samurai to help them defend themselves against repeated raids. The seven jobless fighters accept the assignment for a handful of rice each day, and an uneasy relationship begins. This classic action-drama by director Akira Kurosawa inspired the Hollywood remake "The Magnificent Seven." Toshiro Mifune leads the big cast. 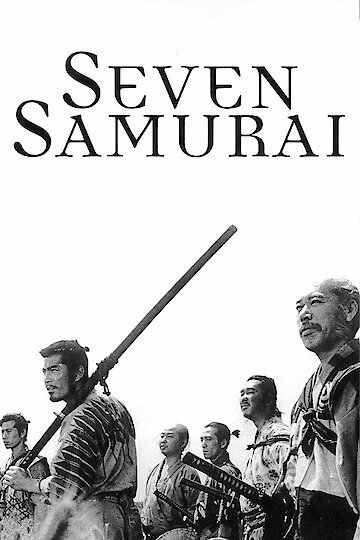 Seven Samurai is currently available to watch and stream, download, buy on demand at FlixFling, FlixFling VOD, Amazon, Vudu, Google Play, iTunes, YouTube VOD online.